Throughout the day I hear - "Mrs. Comincioli I'm done. What should I do now?" My answer used to be - "You can read independently or you can write in your journal." Both of the these options my 2nd students loved doing, but there were days when they would be bored with it. I've been wanting to add some more options for them and finally I have finished the "I Am Done" board! I created the cards using Doodle Borders by Jen Jones. My students love reading! They can choose a book from the classroom library, the nonfiction section we have set up, or from their book box. They can read independently or with a partner. I have reading and math "games" set up in a bin they can choose from. The games are activities that they can play with a partner or individually. I find that if I call them games, my kiddos are more excited about them! The activities I change to fit the common core standards we are focusing on. There are also activities in the bin that are from standards we have focused on earlier in the year. At the beginning of the year we created "picture" journals. The students covered a journal with pictures from home to make the journal more personal and give them ideas for their writing. Students can write in their picture journals when they are done with their work. We have a writing board set up with ideas and a writing bin with prompts they can use to write in their journal. 1. Finish a mystery picture. 2. Write a friendly letter. 3. Write a thank you note to someone. 4. Write as many rhyming words as you can. 5. Create a missing poster for a character in a book. 6. Make a card for someone. 7. Create a poster about a book. 8. Write a story including the beginning, middle, end, problem, and solution. 9. Draw a picture and describe it using as much detail as you can. 11. Create a schedule for your day with the time for everything you do. 14. Draw a map of your house and include a key. 15. Draw a map of our school and include a key. We have been working all year on sight words. 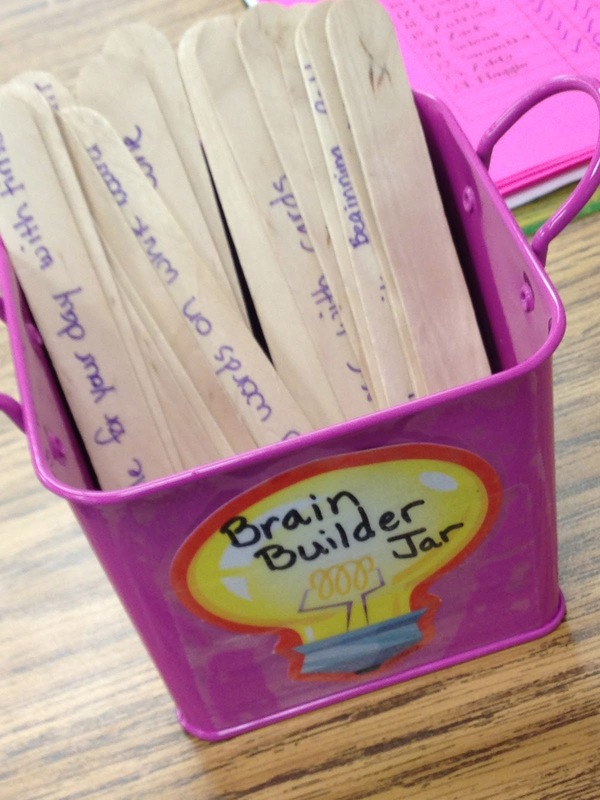 Students have several activities they can choose to do to study their sight words. Some of these activities include - sight word memory game, magnet letters, rainbow words, word hunt, and sight word flash cards. We also have words sorts every week from Words Their Way. 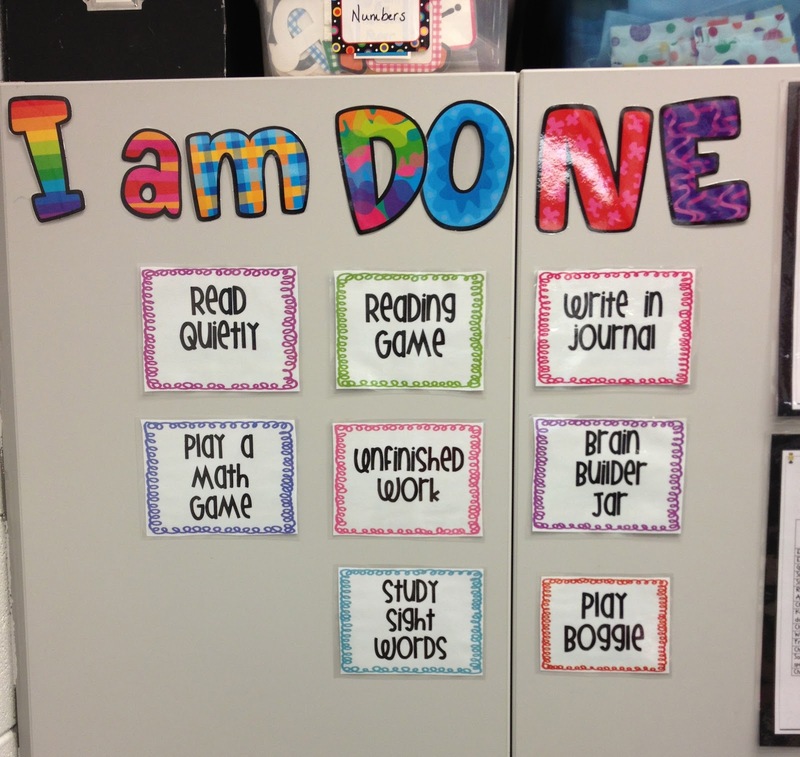 Students can practice these words as well with any of these activities. They can also practice their words with a timed sort or blind sort. 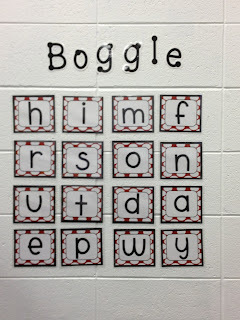 The last activity we have on our board is Boggle. The students LOVE this game!! 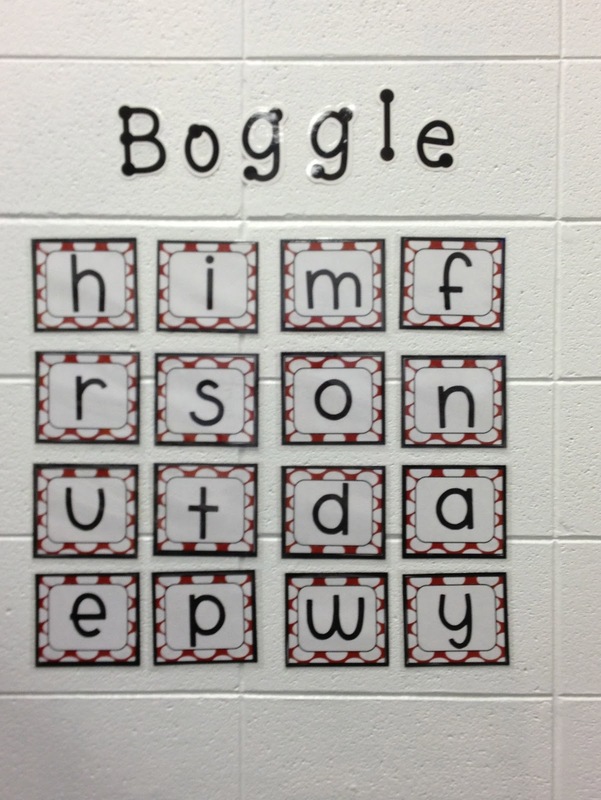 I found the Boggle game sheet on Create*Teach*Share and the Boggle letters on technology rocks. seriously. I have the students write the letters onto their sheet. They can use the letters in any order to create words, but they can only use the letters once in a word. If the letter t is only on the board once, they can only use it in a word once. My goal is to switch the letters every couple weeks so they have a new board to use. So far, they are loving this activity and it is great to see them use the word skills we've been practicing! Thanks Heather!! Our students love the picture journal and it was pretty easy to create. I'm so happy that you are now following our blog. I checked out your blog and you have some great ideas on there! I can't wait to try some out! I'm now following your blog as well and look forward to read what you post in the future! This is perfect for my first graders that always seem to be done at a different times! Thanks for sharing!